Damaging impact of workplace accidents exposed by latest Health and Safety Executive statistics. If anyone doubts the vast impact of workplace accidents on individual workers in the first instance, and on the British economy in the second, Oxford Accident Solicitors recommend they study the 2018 statistics released by the UK’s Health and Safety Executive. In just one year there were 555,000 non-fatal injuries to UK workers, and sadly, 144 fatal injuries. There were another 1.4 million cases of work-related ill health cases, including 600,000 cases of work-related stress, depression and anxiety. 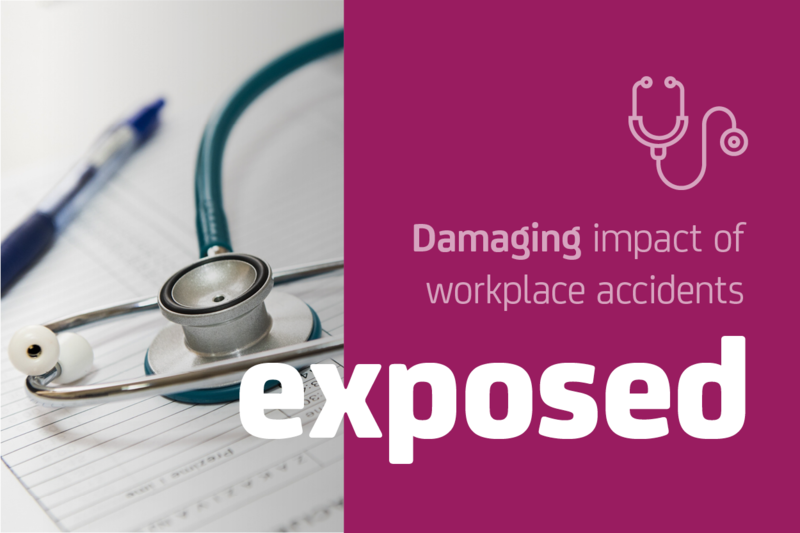 Overall, the annual cost to the British economy of new cases of work-related ill health was a staggering £9.7 billion and the annual cost of workplace injuries an equally jaw-dropping £5.2 billion. To put that into context, those two figures combined are roughly 10% of the NHS’s total annual budget. Of the 555,000 non-fatal injuries, some were short term (420,000 led to workplace absences of up to 7 days) but many others were longer term (135,000 caused absences of over 7 days). In terms of the main kind of accidents: slips, trips or falls account for 31%; handling, lifting and carrying 21%; workers struck by an object 10%; falls from a height 8%; and perhaps surprisingly, 7% by acts of violence. Agriculture, forestry and fishing, construction, accommodation and food service activities, wholesale and retail trade (including motor vehicle repair), public administration and defence, and manufacturing all had significantly higher injury rates than for all industries. The rate of self-reported injury to workers did show a generally downward trend, as did the rate of non-fatal injury to employees reported by employers. The UK consistently has one of the lowest rates of fatal injury across the EU, and lower than other large economies. In addition, UK rates of work-related ill health resulting in sick leave were lower than most other EU countries. Falling numbers of accidents and sick leave are good news. The bad news is that too many individual workers are still suffering accidents at work through no fault of their own, accidents that lead to experts like Oxford Accident Solicitors providing professional help in compensation claims. Whether you are a factory worker who is the victim of faulty machinery, a labourer who is hit by falling debris, or a warehouse worker who is injured carrying excessive loads, there is a good chance you are entitled to compensation from your employer. Whatever type of accident you suffer, the friendly claims team at Oxford Accident Solicitors will sit down with you over a cup of tea for a free initial consultation. Please contact Oxford Accident Solicitors on 01865 315309.